KalmAid Flavoured Liquid is an effective, fast acting product which promotes relaxation and reduces nervous irritability in cats and dogs. 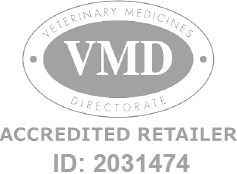 Kalm Aid Flavoured Liquid - 250ml is a Prescription Only Veterinary Medicine and by law requires a prescription from your vet. KalmAid is an effective, fast acting product which promotes relaxation and reduces nervous irritability. It can be used in situations such as seperation from owner or new environment; fear of travel or unwanted behaviour. It is particulary useful during events likely to cause noise related anxiety such as thunder and fireworks. KalmAid conatins L-Trytophan and L-Theanine, which cross the blood brain barrier and affect the central nervous system, by increasing levels of naturally occuring neurotransmitters associated with relaxation.